As part of the “Strike Then, Strike Now!” exhibition Interference Archive is hosting a series of discussion nights with workers who have been on strike. 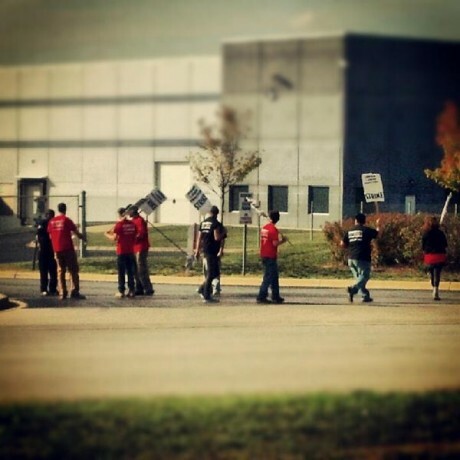 Last year in Elwood, Illinois, nearly two dozen freight handlers went on strike for 15 days at Walmart’s largest superdistribution center, Midwest DC 7079. Come here about that strike from one of the participating workers. Russian writer, Mikhail Trofimenkov, visited Interference Archive today. 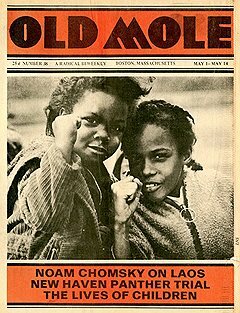 He wrote this review of the Rebel Newsprint exhibition in Kommersant Daily. 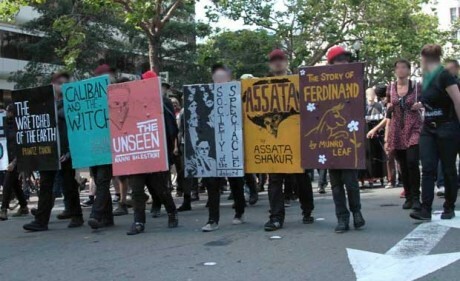 From Italy to England, Sweden to Spain, Oakland to New York, the book bloc has surfaced as a street protest tactic in which people create and use shields that resemble giant books. These shields are both practical and symbolic in asserting the power and importance of culture, while protecting protesters from the police. Here are step by step instructions on how to make your own shield!